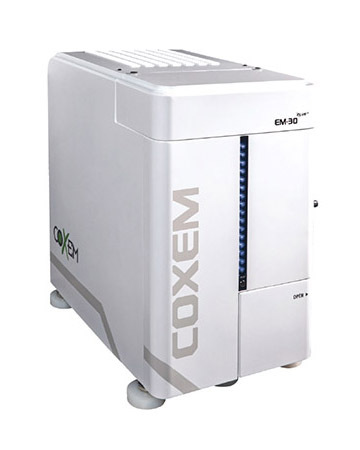 element Pi, LLC is the North American distributor for COXEM Co, Ltd. of South Korea. 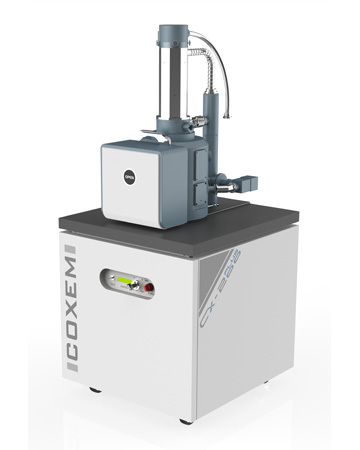 We currently distribute the COXEM Series of Tabletop and Full-Size SEM (Scanning Electron Microscopes) along with a variety of accessories such as Vibration Isolation solutions, Sputter Coaters, microscopy software and more. We are proud to offer these exceptional products that have a superior price-to-performance ratio compared to similar SEM and Vibration Isolation systems on the market. We are confident that after making an in-depth comparison, you will come to the same conclusion. The EM-30 Series of Tabletop SEM offers a solution that cannot be matched at the same price by any other Desktop or Tabletop SEM on the market. Even more advanced and powerful solutions will become available in late 2018 and 2019. 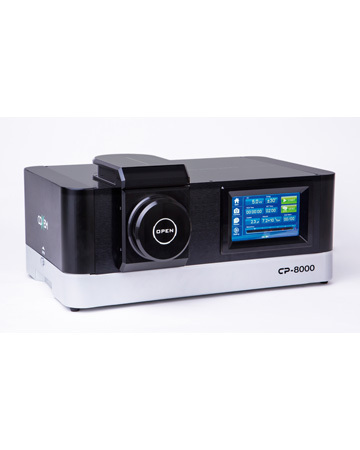 Our NEW Ion Beam Cross Section Polisher (CP-8000) presents a sample preparation solution at an affordable price compared to other manufacturer solutions in the $100,000 range and above. Ion Milling preparation of cross sectioned samples has yet to realize its full potential in the microscopy market due to the previous high cost of this type equipment. A NEW STEM option for Tabletop SEM was introduced summer of 2018. STEM is Scanning Transmission Electron Microscopy. With the 30kV beam energy of the EM-30 Plus, this new STEM option promises to allow users of Tabletop Scanning Electron Microscopes to utilize the microscope for many types of TEM or Transmission Electron Microscope analysis of nanoparticles and standard tissue sections. So why Pi in our company name you might be wondering? Pi is the most recognized mathematical constant and often considered the most intriguing and important number in all of mathematics. So in the spirit of Pi, we offer products that will continue to intrigue you as new developments are reached and our goal is to make our products become an important asset to your research and microscopy effort. However, while Pi is an irrational number like its cousins “e” and “√2” that like to go on forever, we will offer nothing but rational explanations and advice when it comes to selecting the best product solution. Through your use of our products, we promise that “Pi” will come to mean “Precision Imaging” that you can count on. We would treasure your comments about how we could make our website better with more useful information to assist with your search for Microscopy solutions. Take a minute and enjoy the Pi FACTS we have collected and presented on our Company – About Us page.